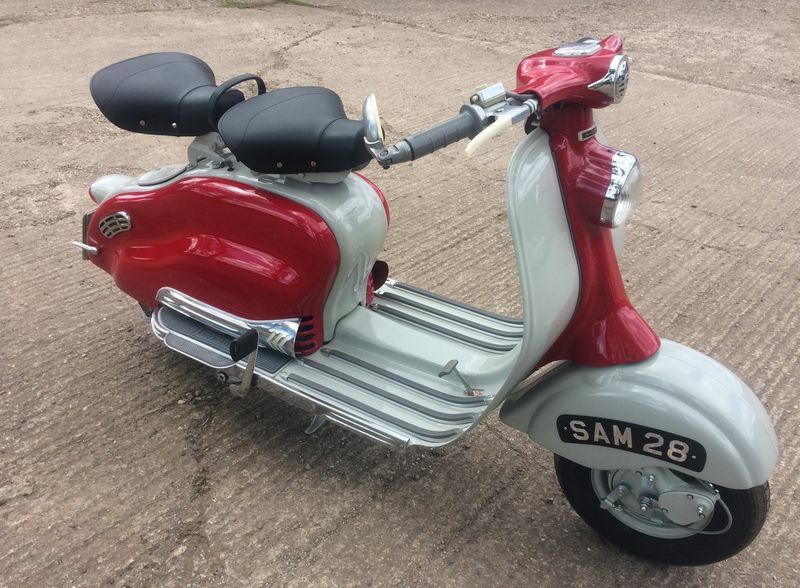 You are here > Home > Projects > Lambretta LD "SAM 28"
Meet SAM, SAM is a 58 LD Mark 3.Sadly SAM met a car head on some time in the mid 1960's! 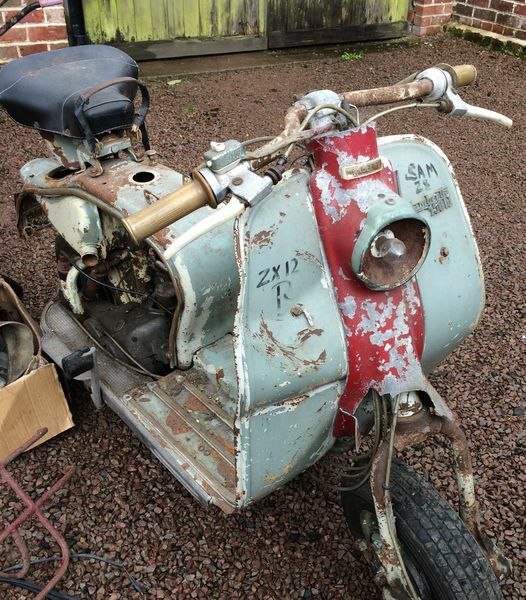 We are guessing that since that date this sad old LD has sat in the back of a bike shop somewhere dreaming that one day it will roll out onto smooth tarmac with the sun beating down on it's once shiny two tone paint! Well readers that day is dawning! 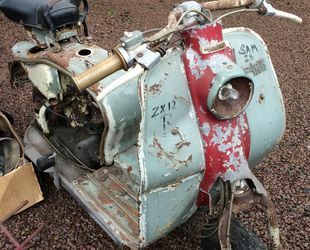 SAM 28 (it's original British registration) is now under going a complete restoration through our workshops and the loyal team of craftsmen we endorse to bring this project back from the grave are as we speak filing metal and welding steel - watch this space for updates on it's progress.- Well, step through time and here it is!! like a magic wand waved SAM has come back to life! 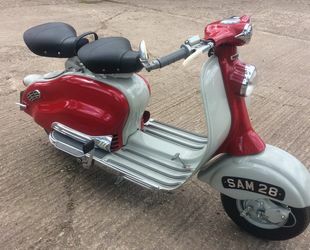 In reality it has been a long and drawn out restoration- please go to our Face Book page to see more photo's in our albums selection to find out the extent of SAM's restoration.